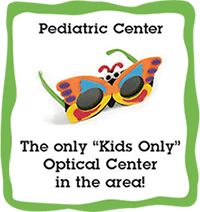 As your child approaches Kindergarten you wonder if they should have a comprehensive eye examination by an eye care provider. The answer is no. In our last blog article, we wrote about the dangers of using over-the-counter costume contact lenses. These popular Halloween accessories can cause severe damage to the eye and even blindness. With school back in session, children will be participating in after school sports and extracurricular activities. When you’re picking out helmets and shin guards, don’t forget to shop for eye protection. While age-related vision loss is a typical part of life, in many cases steps can be taken to slow the process. Hopefully the warm summer weather has encouraged you to spend more time outdoors and away from television, computer and tablet screens. It’s inevitable that in this technological age we are going to see significant screen time.